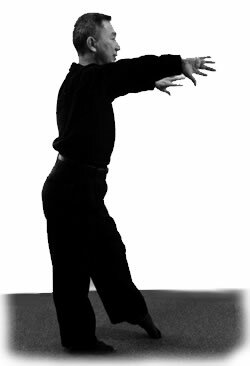 Explore these exquisite steps inherent in the Tai Chi Form. Discover the smooth flow of changing your position and turning your direction with grace and harmony. Apply these 'Dancing Steps', either 'Waltz' or 'Tango', to your path in life. 7- Stars: Learn to shift your weight by stepping front, back, left and right. 9-Palaces: Shift weight according to the incoming flow and direct or redirect it to wherever and whenever. Specific references to the relative movements in the Tai Chi Form will be mentioned. Specific martial art applications will be discussed. Students are encouraged to combine all the 3 components to their preference and create their own movement, sequences or modules.